Tag Archive | "Meal Plans"
The more time you spend at the grocery store, the more likely are you to spend even more. Keep you trips to 30 minutes or less to help you stay in your budget. Head to the grocery store once or twice a month to stock up on staples like eggs, milk and bread. Rachael Ray Magazine cites a study that says unplanned trips increase impulse buys by 23 percent, and planned trips to the grocery store decrease impulse buys by 13 percent. It’s OK to go more frequently if you need perishable items, such as fresh fruits and vegetables, but be sure to buy those in smaller quantities so you don’t end up throwing them out. If you frequently use olive oil, nuts, pasta and canned beans in your meals, stock up on those items when they go on sale. There’s no need to pay full price because these items don’t go bad quickly. Watch flyers and other ads to know when to head to the store when prices drop. Since the majority of waste from grocery shopping is from fresh produce, stick to frozen fruits and veggies that will last longer and not need to be thrown out. One of the cheapest ways to save on food? Buying potatoes. Plus, you can do a lot with them. Bake them. Mash them. Make hashbrowns. They are one of the most versatile foods around. It may be tempting to buy a pre-cooked rotisserie chicken from the store, but buying a whole chicken is cheaper. Sure, it will take you more time to prepare everything, but you’ll get some great meals out of the whole chicken. Use the breast in a sandwich, wings as a snack and other parts in a soup. If you’re looking for another healthy protein, fish is a good option. Like many other items, you should buy fish frozen to get the best deals. Swing by the fish counter to ask for discounted cuts, too. Another food that’s easy on your wallet and heavy on taste is ground beef. If you’re worried about the calories, buy a leaner cut. With this meat, you can make a variety of healthy and inexpensive meals, such as a taco salad and pasta with meat sauce. Even though you’re strapped for cash and time, you can still whip up delicious meals. There are plenty of simple and easy recipes out there that even beginner cooks can make. Start with something familiar, such as lasagna, so you know you’re following the recipe correctly. In less than two hours, you’ll have a piping hot pan of protein-packed lasagna that tastes and smells great. Best of all? This will give you enough food to enjoy for days. College may take a great deal of planning, but this next plan ahead idea is something that you can really enjoy. Plus, these plan ahead tips are going to help college students eat healthier and still stick to that challenging college student budget. 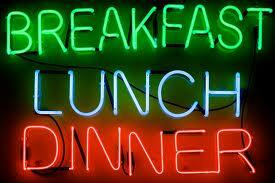 We are going to show you how to plan ahead to be prepared to eat right and inexpensively while at college. Slow cookers are available in small, one serving sizes and can be bought very inexpensively at most discount stores like Target, Walmart, or Kohl’s. 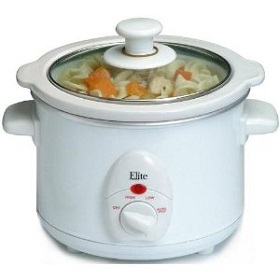 Slow cookers are also known by the popular brand name Crock Pot. You can prepare one pot meals in them, so it does not take up much space in your dorm room or apartment. The part that requires some planning ahead is learning a few simple recipes to prepare in the slow cooker. The types of soups and stews that can easily and inexpensively be prepared in the slow cooker make for comforting and healthy meals. Thousands of recipes can be found online. Even though the cooking time is long, you can put the ingredients in the pot before leaving for classes in the morning. You can add your choice of meat, vegetables, seasonings, and soup stock to create meals that are hot and ready when you come home from classes. Slow cookers are not just for preparing dinners, or even savory meals. You can get the recipe for a breakfast casserole and prepare that overnight in the slow cooker so that you can wake up to a delicious ready-made breakfast. Desserts can also be made in the slow cooker and are very inexpensive including rice pudding and cakes. 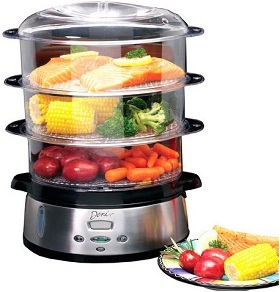 Food steamers are also small cooking devices that can easily be found at discount stores. You might think that only vegetables can be prepared in steamers, but just about anything can be cooked in a steamer. Since no oil or butter is added, it makes for very healthy meals; in addition, the foods that you steam do not lose as much vitamins and nutrients as they do through other cooking processes. In addition to steaming vegetables, you can steam fish, seafood, and Chinese dishes like dumplings, buns, and pot stickers. A sandwich press is also known as a Panini press. They are also an inexpensive cooking device that can be very versatile. Many different sandwiches can be made and they make it easy to stick within a budget. However, you can use the sandwich press to make more than just sandwiches. Eggs and omelets can be made in the press, so can meats and other proteins. When you cook meats in the press, the fat runs out of the meat leaving a lean cut of grilled meat. Learning different recipes and practicing ahead of time will help you be ready to stick to a budget and still eat healthy, home cooked meals. 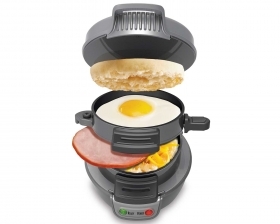 This is relatively new kitchen gadgets that helps you easily and quickly prepare a sandwich for breakfast, or any time, of course. 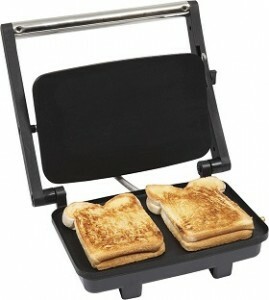 The sandwich maker is made from non-stick material, so clean up is a breeze. You can put in any variety of sandwich components in it and create your own healthy and inexpensive breakfast that you can even eat on the go if you have to. Today’s guest article comes from Tegan Connor, a blogger and Brand Manager for Neverlandstore.com.au. She enjoys writing about young lifestyle topics, including college and dorm life. When you are in college, it is usually a given that you are not flush with cash. Money is almost always tight for college students regardless of your family’s socioeconomic status. Even college students with wealthy parents often find themselves lacking in funds when it comes time to move out and go to school. One of the most difficult aspects of living on your own and trying to make do while you get an advanced education is how to allocate and spend the right amount of money on food and beverages. If you are moving to a part of the country or the world that is entirely new to you, then there are very likely going to be restaurants and pubs that you simply cannot wait to experience. While it is completely acceptable to treat yourself every now and then to a new place for lunch or dinner, you must make sure that you are not overdoing it. Variety, after all, is the spice of life, but if you are going out to eat many times each week, then you are very likely going to run out of funds very quickly. You can avoid this particularly difficult problem by making sure that you only go out to eat once or twice a week, depending on your own personal food budget. Grocery stores should still be the number one place for college students to get the majority of their food, especially if your dining hall at school is very expensive, not particularly appealing, or doesn’t exist altogether (as is the case at many smaller schools). 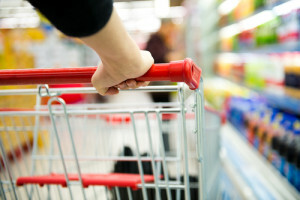 Grocery stores usually offer far better prices on everyday goods compared to smaller bodegas and convenience stores. Another great way to make sure that you are getting the most bang for your buck is to find a copy of your grocery store’s weekly flier. These advertisements are usually rife with savings. Sometimes they will even have cut out coupons on certain items that can help you save even more money. Before you go grocery shopping each week, you should find the local grocery store’s flier and try to plan out your meals for the week based on what items are on sale. This might take a little bit of extra time, but the savings will be well worth the trouble. In addition to the point about maximizing your use of grocery store’s fliers is the tip that you should always buy your groceries in bulk quantities when this is an option. This is especially important with nonperishable foods as you will not have to worry about eating them by a specific date before they go bad. Buying groceries in bulk will not only save you a significant amount of money, but it will force you to be disciplined in the food you eat. If you already have a lot of an inexpensive food item, then you are less likely to want to go out for an unnecessarily expensive meal. Many colleges today will have social groups, societies, guest speakers, and presentations that come with the promise of a free lunch for all attendees. These can be a godsend if they come just when you are trying to save as much money as possible. The one downside to these is you may have to sit through a presentation that you would otherwise find incredibly boring, but even this is not too bad a price to pay as you might get the added benefit of learning something new. College students are always struggling with their money. This is understandable, seeing as for the majority of students, it is the first time in their lives where they are wholly responsible for their own finances and well being. If you follow these tips and try your best to be disciplined about spending your money, then you should be well on your way to graduating with as little student debt as possible. Today’s guest article comes from Ryan Ayers. He is a writer who creates informative articles in relation to the field of education. This article offers financial tips to college students and aims to encourage further study with an online masters of education. When it comes to convenience and cost cutting approaches to eating on campus, Ramen noodles are a student’s best friend. They are cheap and they do a great job of filling the bellies of hungry college students across the nation. 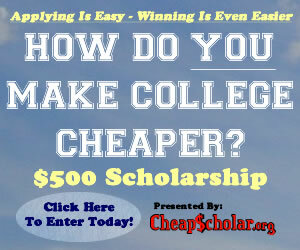 As a matter of fact, one of the top responses that I have received related to CheapScholar’s “How Do YOU Make College Cheaper” challenge has been Ramen noodles. The good people at HackCollege have provided the following infographic that highlights some of the more not so well known factoids related to Ramen noodles. Enjoy and please be sure to pass along to your fellow college students. When you go to college, there are certain necessities that you must have. A comfortable place to sleep and good food to eat usually tops that list. Every college is a little different on how they address the dining needs of their students, however, I think the following infographic should be very helpful in providing you some tips on how to survive your campus dining experience. If need be, click on the infographic to whisk you away to a larger version that is easier on the eyes. I must tell you that eating on a college campus is a pretty rewarding experience at most schools across the country. Colleges know that students take their food seriously and they have stepped up the menus to be more accommodating to all students regardless of dietary need. I visited a CDR (Center Dining Room in college talk) just the other day and I was amazed to see everything from pizza and burgers to salad, humus and stir fry. At the CDR, you get an unlimited supply of whatever you can eat (or carry) and the same goes for the soda and desserts. Given that campus dining has evolved so nicely over the years, it is hard to believe that someone would be filing a lawsuit against a college because they are unhappy with their meal plan. However, just recently, legal action was taken against Auburn University (Alabama) because some students are not too excited about their meal plans. It appears that they are ok with the quality of the food but they are disappointed with the cost. Specifically, they don’t like a new rule that was put into effect by the Auburn Trustees that makes a meal plan mandatory for all students attending the University. The mandatory food policy states that students living on campus must have a minimum of $995 in meal plan expenses each semester and commuter students must have $300 in meal plan costs. It is not uncommon for colleges to require their residential students to be on some sort of meal plan at the University. It may cost more up front but in the long run it will be healthier and cheaper than any other fast food option that the student could encounter. What I find a little odd about Auburn’s Mandatory Meal Plan Policy is the fee they are imposing on non-residential students (commuters). My personal opinion is that these students are probably already trying to save a buck or two by not living on campus and the mandatory meal plan fee is counter intuitive to that goal. Auburn will probably be able to maintain their policy for residential students but my guess is that they will need to change the policy for commuter students in the near future. I just can’t see any foundation for that policy “sticking”. This link represents Auburn’s response to the mandatory meal plan policy. They appear to put a good “spin” on their approach to meal plans. Regardless of whether you go to Auburn or another college or university, the lesson to be learned from this situation is to look at ALL the costs associated with your educational experience at a specific institution. You may find that tuition is cheaper at one school verses another but if you start adding in all the ancillary expenses (like mandatory meal plans) you may find that the bottom line costs are more comparable from one school to the next.